Thanks so much to Jennifer & Steve Caton of Studio City! This last quarter, Jennifer and Steve decided that the “residents” in cattery #2 could use a change of pace. They worked so hard and the results are fantastic. New carpet! New paint! New beds! New toys! New cat trees! New blankets! Denny, Tess, Ringo, Penny, Aaron and Byron love their new digs! There is more than enough room for each cat to have their own special, comfortable place. Jennifer and Steve are volunteers beyond belief in their passion to save all, adoptable or not. Pat, the volunteers, and especially the kitties…are so thankful for this wonderful gift! 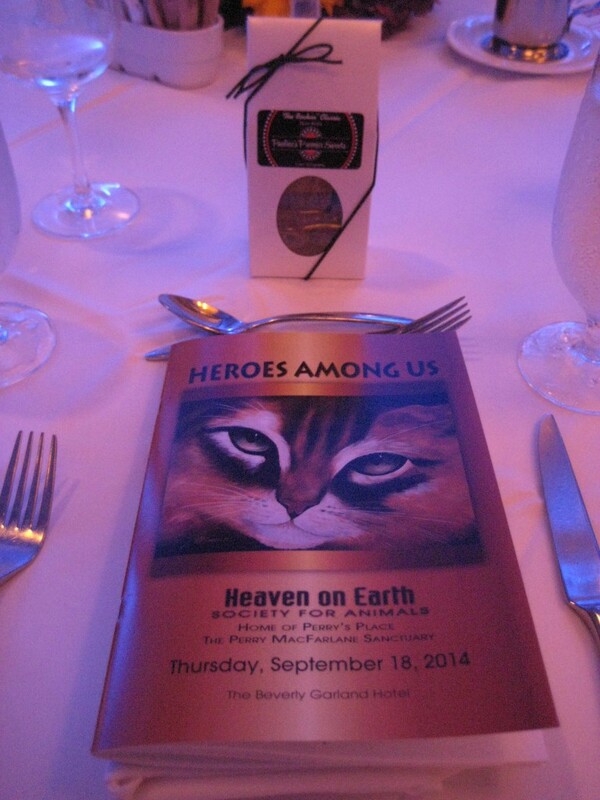 This past Thursday, Pat was honored at the Heaven on Earth Gala. Thank you to all those who work in the trenches and support feline rescue. When I learned that The Tolucan Times’ Pet Issue was coming up, I discovered an actress who was “purr-fect” to profile. So let me shine a spotlight on Pat Winters, a terrific gal who is the cat’s meow. A petite dynamo, Pat Winters told me when she was a little girl she had “a brown Tabby called Tiger, which is why I love Tabbies.” Actually she loves all pets great and small, but started Purr-fect Solutions Feline Rescue to save older cats and help them find a good home. 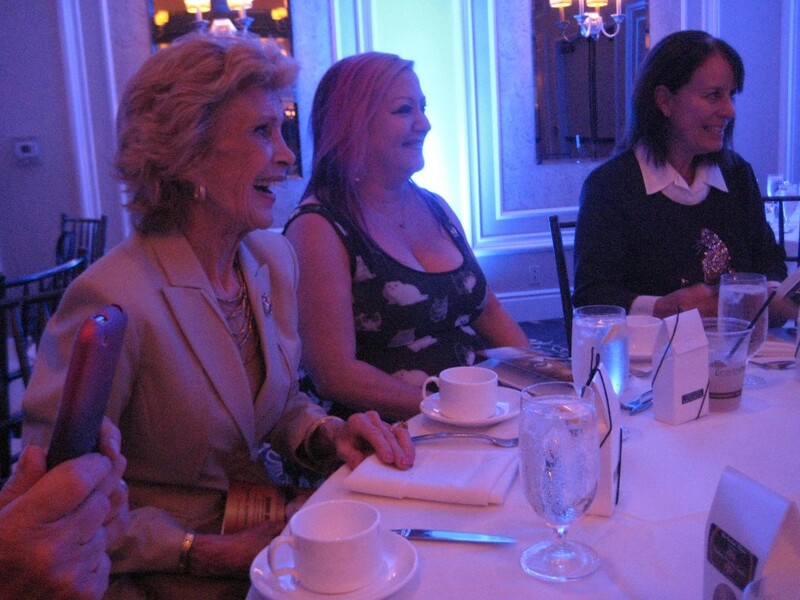 At first I talked to Pat about her career as an actress. I saw many great Hollywood photos of her around her home. The one of her at a party with Elvis certainly caught my eye, along with her gorgeous production stills. She appeared in one of my favorite movies Marjorie Morningstar. She also did guest appearances on classic TV shows such as The Beverly Hillbillies, Maverick and Mannix. 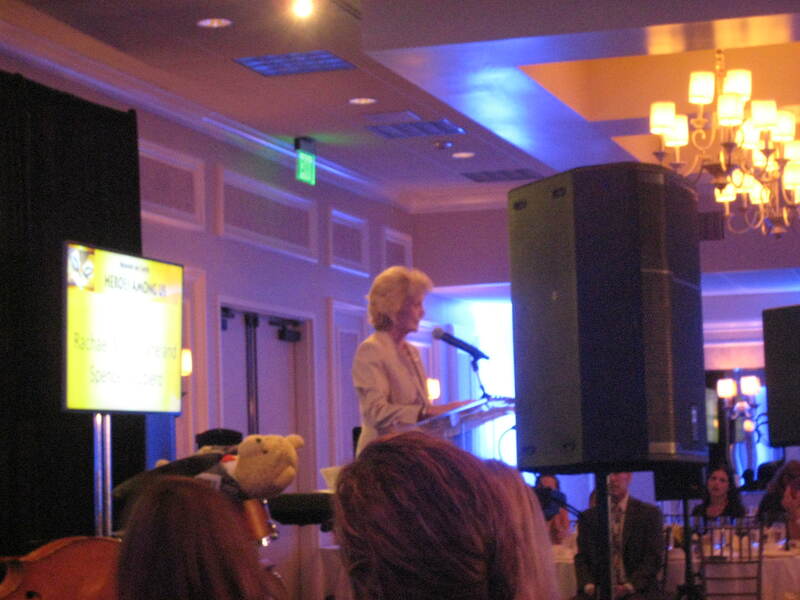 Pat came out to California in 1955 when she was Miss New Hampshire in the Miss USA/Universal contest, “and I stayed. I became a guest singer on Art Linkletter’s House Party. Then I was discovered for a Jane Powell movie called The Girl Most Likely, produced by Stan Rubin. I enjoyed my career, which included a lot of commercials, but then I got married and had two daughters.” Afterwards, she got into real estate sales “and I loved that too, until I retired.” Then along came a calling for another “career” helping animals at her cattery. “I happened to fall into doing this. There was a house down the street with more than 100 cats, and I wanted to save as many as I could. Someone told me what to do and I did. Rescuing and sheltering the homeless cats gave birth to Purr-fect Solutions Feline Rescue in 2000.” It is a non-profit, no-kill, rescue group and shelter in Sherman Oaks. Pat and a terrific team of volunteers take care of the cats until they can find a loving home for them. The hardest thing for them is to find homes for cats five years and older, “because most people fall in love with cute little kittens. But older cats are very loving and make the best pets because they’re already trained and not as crazy as kittens tearing up things. It is so heartbreaking to see the older ones passed up all the time. Although they are well cared for here, it just kills me to think they will never have a home of their own.” Recently Pat’s friend Carrie Ann Inaba (the super-sweet judge on Dancing with the Stars) came to Purr-fect Solutions to do the video “CribCat presented by Carrie Ann Inaba, which helps match up deserving cats with the purr-fect crib.” And Pat was delighted that a couple of cats waltzed away into wonderful homes. Another celebrity that has helped Pat with fundraisers was Lee Meriwether (Barnaby Jones). Pat noted, “We sisters cannot imagine life without pets.” There were so many adorable cats at the cattery. I fell in love with the very regal Kipp, Kit, Bonita, Bixby, and the orange tabby Byron. On Pat’s website there are pictures of all the beautiful cats and kittens available for adoption. All are tested for FIV and FeLV, dewormed, vaccinated, spayed/neutered and microchipped. You can go to www.purrfectsolutions.com and click on pictures of the cats and read their stories or call Pat Winters at 818-784-4297 if you want to adopt a loving feline companion. Meow! (That’s ‘thanks’ in cat-talk). Read the original article here. Bob passed away on April 20, 2013, in Sherman Oaks, California. Born June 25, 1927, in Natick, Massachusetts, he was the son of Blanche Kelley and Emil Gilbert. Bob attended Natick High School and left his senior year to join the US Navy in 1945. After serving in the Pacific Theatre on the Rio Grande until the end of WWII, he returned to Natick and attended the Massachusetts School of Art (now MassArt). He married Helen McGrath (deceased 2000) in 1955 and immediately drove out to California, eventually settling in Van Nuys. He worked for AT&T until taking early retirement upon the company’s breakup. This gave Bob opportunity to devote his time to his many hobbies: bowling, orchids, woodworking and his cats, to name a few. After the death of his wife Helen and the last of their many cats, Bob met Pat Winters of Purrfect Solutions in his search of a new kitten and she introduced him to his new feline companions, Lance and Bonnie and Boopie. He became an official “cat rescuer” as the CFO for Purrfect Solutions where he volunteered until his death. He is survived by his son Brian, of Huntington Beach, California; daughters, Catherine, of Page, ACT, Australia, and Joanna, of Wellesley, Massachusetts; six grandchildren, Megan, Matthew, Hannah, Peter, Liana and Ethan; his best friend, Pat; his cats, Bonnie and Boopie; and his many friends. He will be missed. 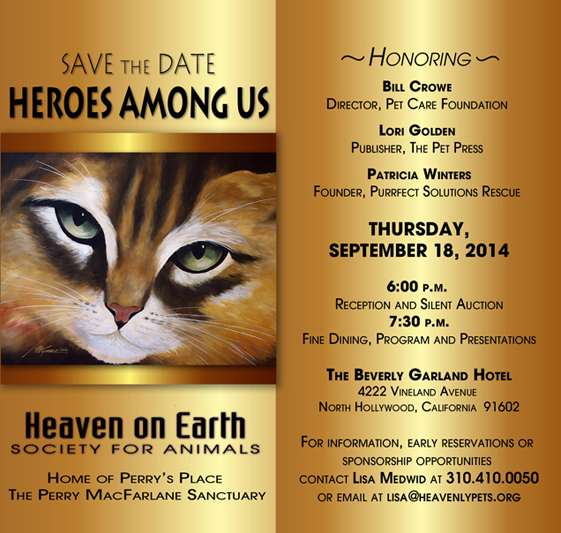 Donations may be made to Purrfect Solutions Feline Rescue 501C3, 5323 Leghorn Ave., Sherman Oaks, CA 91401.